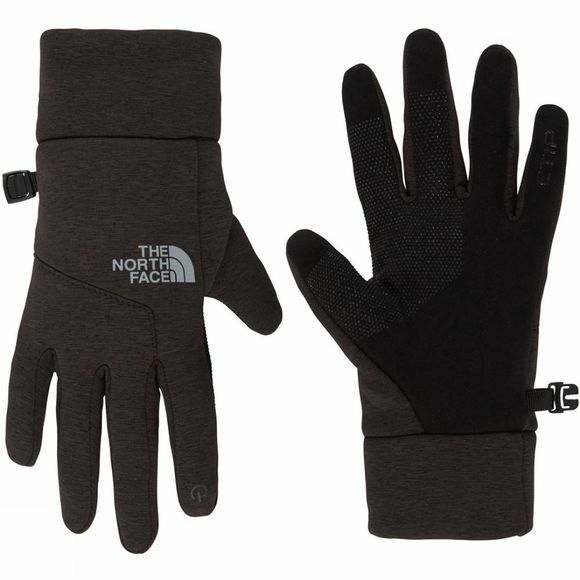 The Womens Etip Hardface Glove from The North Face is made from stretchy, durable fleece. These gloves will stand up to the demands of every adventure while letting you use your touchscreen devices in comfort. With a firm grip and a women-specific fit that holds your hands in a natural relaxed position, they’re the perfect choice for winter in the great outdoors.